Cardamine hirsuta flowers and fruit. Walter Obermayer.www.uni-graz.at. (Accessed 5/2014). Cardamine Genus are herbs herbs, ours mostly rather small annuals, biennials or spring ephemerals, some colonial, mostly hairless. Leaves alternate, ours pinnate to three-parted. 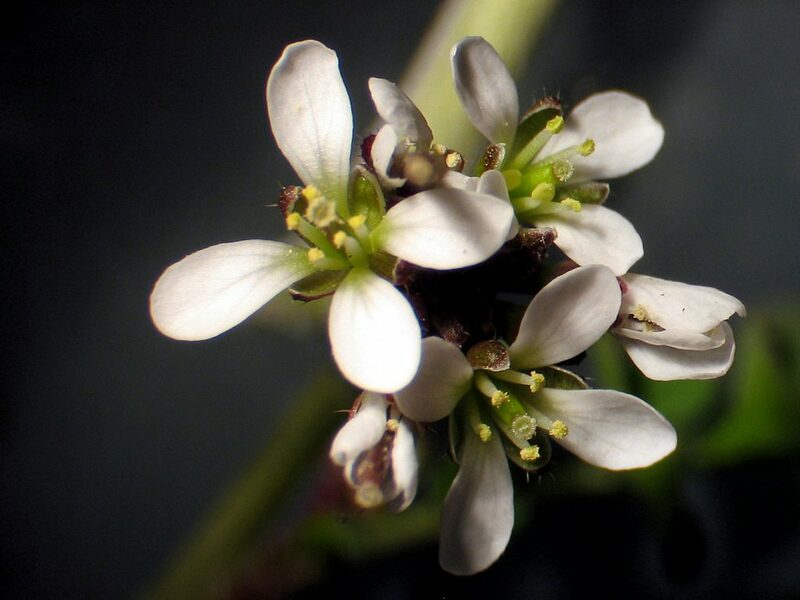 Cardamine hirsuta flower. NRM. commons.wikimedia.org. jpg (Accessed 11/2017). 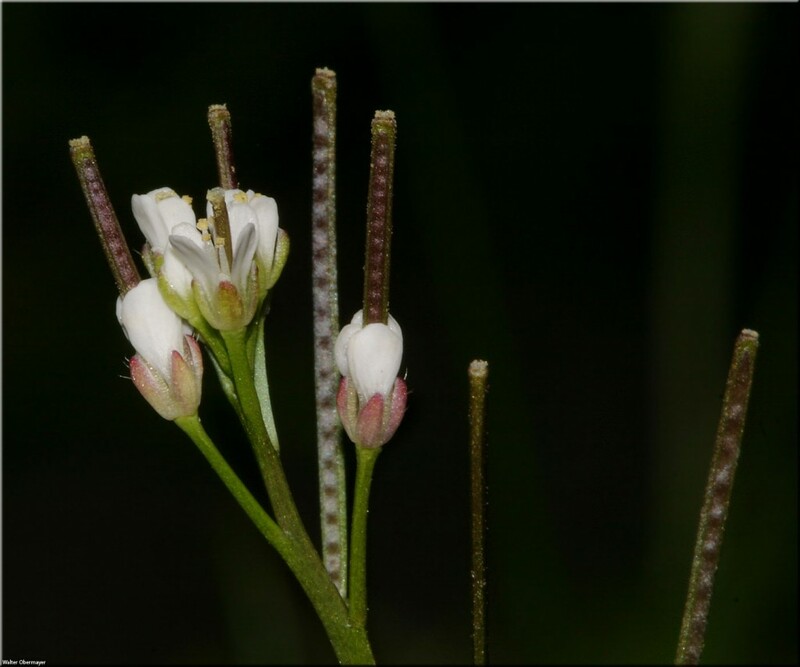 Flowers white (ours), petals and sepals 4 each, small, stamens, 6 or less, ovary inferior, linear, cylindrical. 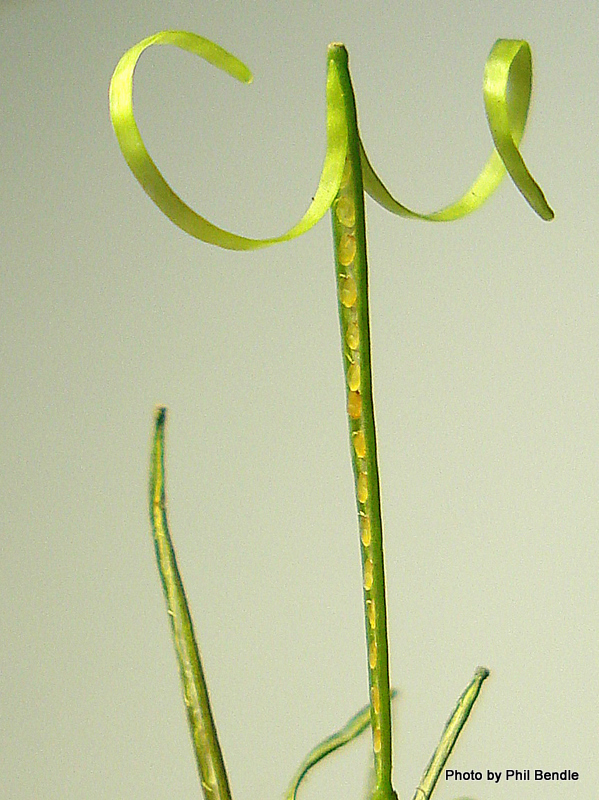 Fruit becoming dry, a linear capsule divided into two longitudinal compartments by a membranous partition, tipped by persistent style, fruit developing below old flower parts as inflorescence stalk elongates with buds and new flowers at tip; fruit capsule splitting open to release numerous seeds, one row on each side of the persistent central partition .